Marxists have often come clean about their demanding the impossible from the capitalist state. They do so because they know full well that the state cannot grant their impossibilist demands – by definition. Again, Marxists know that they are literally demanding the impossible. That's the whole point! So why do Marxists like Žižek demand the impossible? They do so to primarily to destabilise the state and also to radicalise people (at least in theory). When Marxists demand that the state change water into wine, or provide free second cars for all, they know that it won't come up with the goods. Therefore the people, or workers - Marxists hope - will get angry at this and storm the barricades. Similarly Marxists effectively promise a welfare state that will be perfect in every respect. Then they demand the same from the actually-existing state. However, because Marxists are knowingly demanding the impossible, they hope that the people, or workers (at least in theory), will rebel and then bring forth a revolution. And that's precisely why Marxists hate counter-revolutionaries such as non-Marxist socialists and the "postmodernists" Žižek himself castigates. Such wimps don't demand the impossible and therefore they'll never bring about a revolution. Žižek, in his own words, also believes in the “Big State”. He's categorically against “the need to curtail Big State expenditure and administration” (page 123). He believes in the Big State in precisely the same way Stalin believed in it. There are no apologies from Žižek here. In fact he is explicit about his Big State dreams. He says that True Marxists, such as himself, will never defend themselves “by saying... we are no longer the old Socialists”. Again, as a True Marxist, he will both demand and promise the impossible. Only such cases of modal political logic, as it were, will guarantee (or so he believes) the truly revolutionary situation Žižek yearns for. Is all this an exaggeration on my part? Well Žižek himself talks about the revolutionary “Terror” he so desires (complete with platonic or Hegelian 'T'). It's no coincidence that Žižek refers to “Terror” because he explains why he does so. Just as Žižek isn't happy that the Nazis didn't go all the way and smash capitalism, or that the post-mods mentioned throughout this piece haven't done so today, so he's also unhappy that the Jacobins didn't “go to the end” (130). That they didn't smash capitalism as well as faces. In Žižek's words, the French revolutionaries suffered from an “inability to disturb the very fundamentals of economic order (private property, etc.)”. And as with Žižek's theory about Nazi Jew-hatred, that's why the Jacobins became “hysterical”. Žižek doesn't mind “Terror”. What he does mind is the fact that the Jacobins didn't “disturb” such things as “private property”. 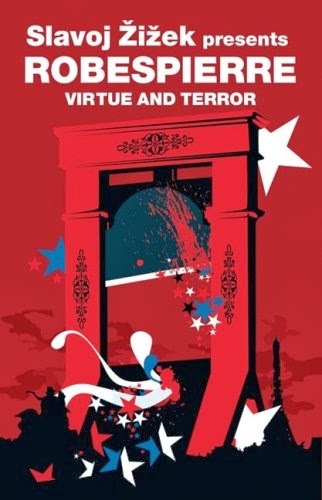 The other point worth mentioning is that on the classic Marxist account of the French Revolution, it wasn't to be expected (according to Marx's 'laws') that the 18th century French revolutionaries would overthrow capitalism or Žižek's "private property". What they did was simply carry out 'the first revolution': the 'revolution of the bourgeoisie'. Thus it was also only the inevitable forerunner to a latter proletarian revolution (which was prophesised by Marx but which never happened). 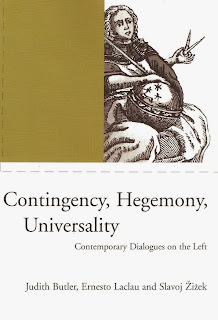 Now if we jump forward to the 21st century, Žižek believes that a New Terror will also be inevitable because, as he puts it, the revolutionary will pursue his “goal with an inexorable firmness”. (This is the sort of revolutionary hard-man's language Lenin displayed in his The State and Revolution.) In fact, the postmodernist “proliferation of multiple shifting identities” is, Žižek hopes, a prelude to a “new form of Terror”. And as I've said, if you demand the impossible, or if you're “opting for the impossible” (326), then Terror is almost bound to follow. Take Žižek's word for it. Žižek is proud of his demands for the impossible. In fact those who reject them, or deny their feasibility, are nothing less that “status quo cynics” (135). “everything is possible” and that they therefore want to “change everything” (135). “nothing at all is really possible”. Žižek is committing the same Marxist black-and-whitism that he repeatedly commits. Because he believes that post-mods, non-Marxist Leftists and God knows who else don't believe in Total Revolution, then they must be, in effect, counter-revolutionaries. Not only that. Because they don't accept the only solution, Total Revolution, then they must be the friends of capitalism and also think that there's “no other game in town” (to use Žižek's own words). 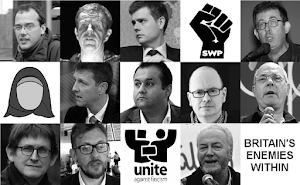 Now take those on the Right who don't believe in Žižek's Total Revolution either. Because of that, he concludes that they believe “nothing at all is really possible”. I suppose it's possible that the phrases “everything is possible” and “nothing is possible” aren't meant to be taken literally. The former, I presume, works like such Sorelian myth of the General Strike: simply as a meme to fire up the proletarians. Nonetheless, what sense are we to make of the claim that some people – any people – believe that “nothing is really possible”? 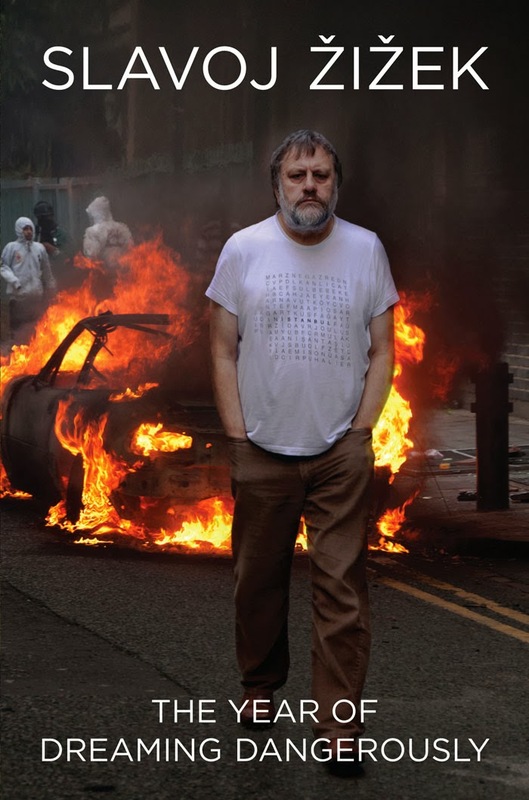 Has Žižek simply concluded that because millions upon millions of people sincerely believe that a Total Revolution will create more harm than good, that they must also believe “nothing is really possible”? Even if you are mindlessly committed to capitalism, it doesn't follow from this that you would also think that nothing is really possible. All sorts of things have been possible within capitalism. And, as Žižek himself has admitted, capitalism has created – or allowed - multiple “subjectivities” or “hybrid identities”; as well as the adult vote, democracy, health care and myriad other things. But none of that matters to Žižek because defenders of capitalism believe that “nothing is really possible” simply because they would rather stick with capitalism – thank you very much. That, to Žižek, means that they think nothing is really possible. However, most people who defend capitalism don't do so because they think that 'capitalism is natural' (as Marx and the early Marxists had it), or 'inevitable', or even incapable of alteration. Žižek is the essentialist here: not the average capitalist or pro-capitalist. It's not the case that capitalism is “the only game in town” either. There are lots of other games in town: including Žižek's Total Revolution, Islamism, post-mod hyper-reality, a Green 'hegemony', the Third Way, fascism, the Nihilist Party and so on. It's just that most people - those who, by Marxist definition, suffer from 'false consciousness' - don't want Žižek's Total Revolution. There are many possibilities that literally millions of people accept and even champion in the West. It's just that Žižek's Total Revolution is not one of them.